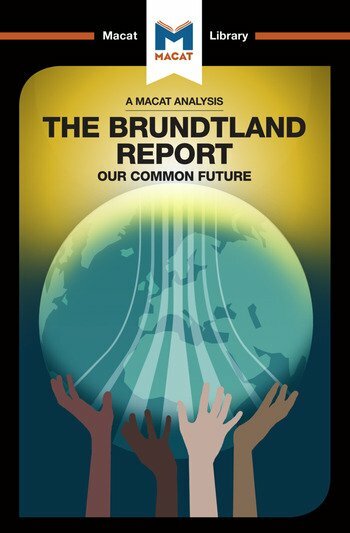 Our Common Future is a joint work produced in 1987 by a United Nations commission headed by former Norwegian Prime Minister, Gro Brundtland. Also known as The Brundtland Report, it offers a classic approach to problem solving by first asking a productive question. How do we protect the world we live in for future generations, while at the same time stimulating economic and social development right now? The solution the work proposes is “sustainable development”, defined in the report as humanity’s ability “to ensure that it meets the needs of the present without compromising the ability of future generations to meet their own needs.” The key conclusion the report came to – that we need long-term strategies to manage the earth’s natural resources – proved to be so universally welcomed it introduced the term “sustainability” into the everyday language of international politics. Solving the problem of workable sustainable development became a hot topic, leading to the birth of a new academic discipline, environmental economics. The book offered a solution to the problem of ensuring sustainable development by highlighting the critical importance of international cooperation. Dr Ksenia Gerasimova holds a PhD from the University of Cambridge, where she is currently an Affiliated Lecturer at the Centre for Development Studies.